Granada is a beautiful colonial city located about an hour south of the capital city of Managua. 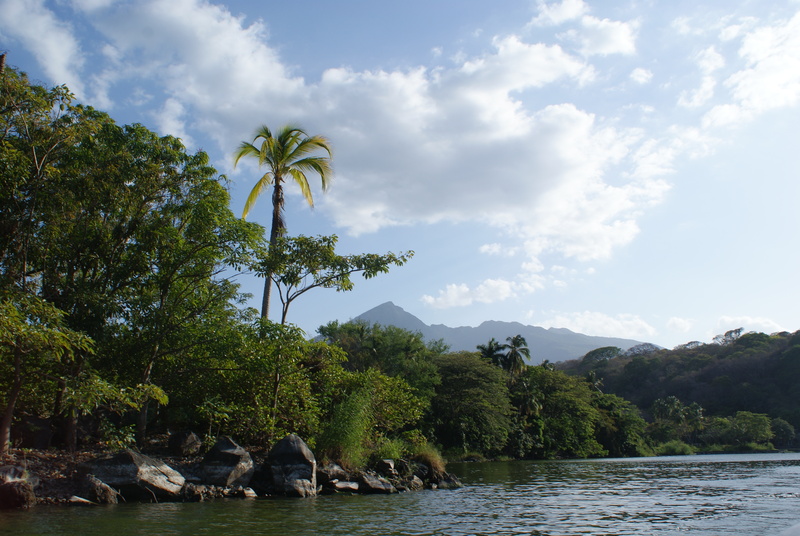 Situated on the edge of Lake Nicaragua, Granada is a beautifully photogenic city and offers many activities both in and around the area. If you’re visiting for a day or two, I suggest you head down to the waterfront and take a boat tour of Las Isletas (or Islets of Granada). Set against the backdrop of dominating Mombacho Volcano and many other smaller volcano’s covered in lush, green jungle, it boasts spectacular views in every direction. 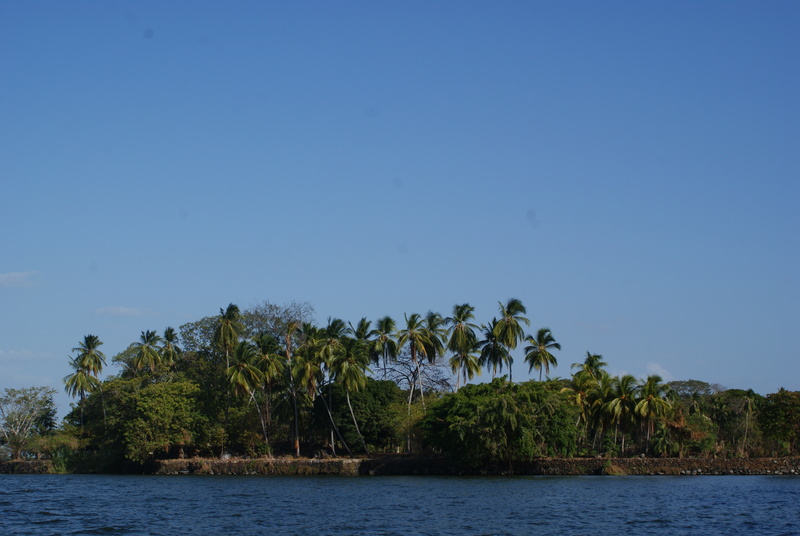 This small archipelago is made up of approximately 365 islands varying in size, located around the Asese peninsula. 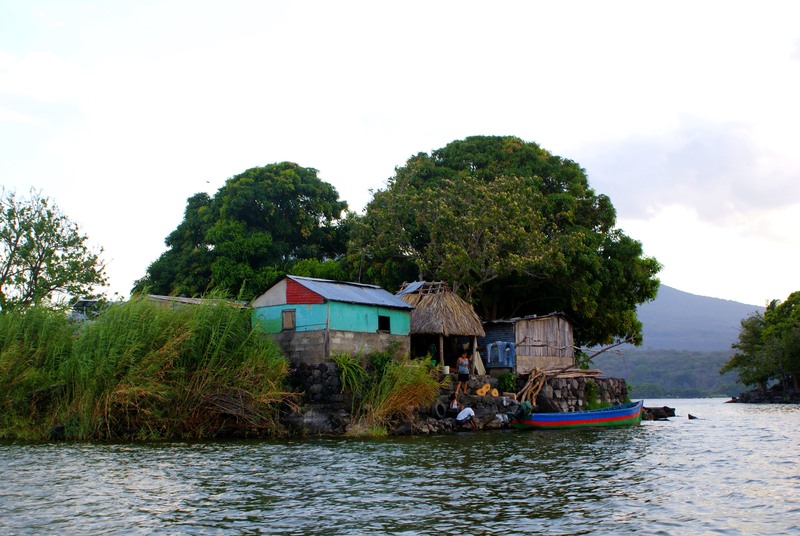 The region was formed when the volcano Mombacho blew its top into the lake thousands of years ago. About 1200 people make up the community that live permanently in this region (there’s even a school on one island!) and there are also some beautiful vacation homes on their own private islets. 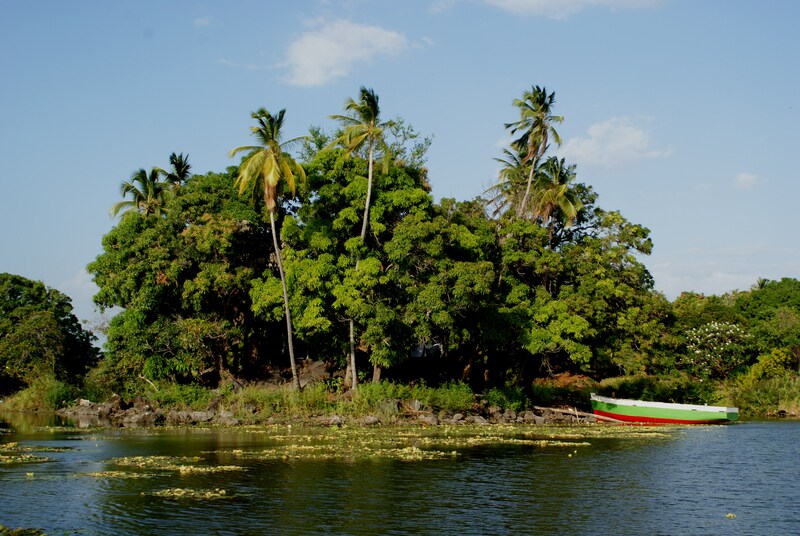 Taking a boat tour is a great way to view wildlife, which is abundant in this tropical area. You can spot many different water birds such as herons, egrets and kingfishers and be sure to keep your eyes peeled for Howler and Capuchin monkeys swinging from the tree tops. You might also spot some caiman in the water and osprey in the air. 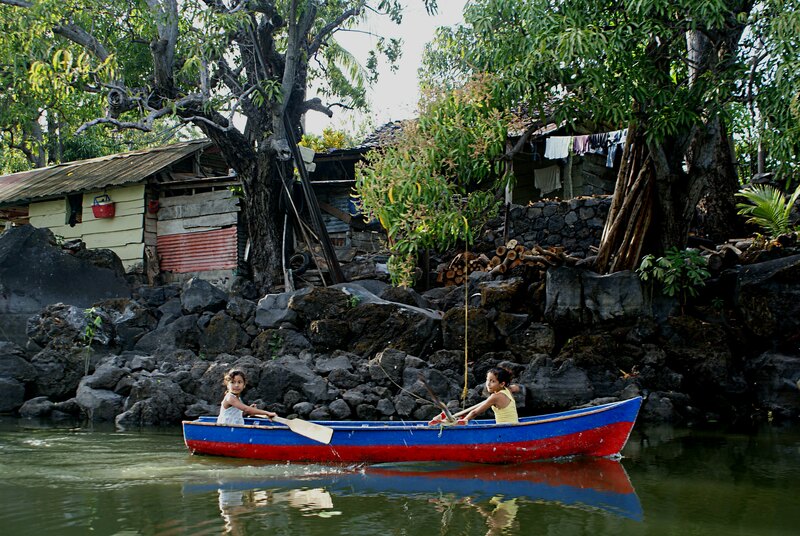 Lake Nicaragua is also home to one of the world’s only fresh water sharks! If you want to see a bit of history, visit the old fort of Castillo San Pablo, which will give you a nice break to stretch your legs. 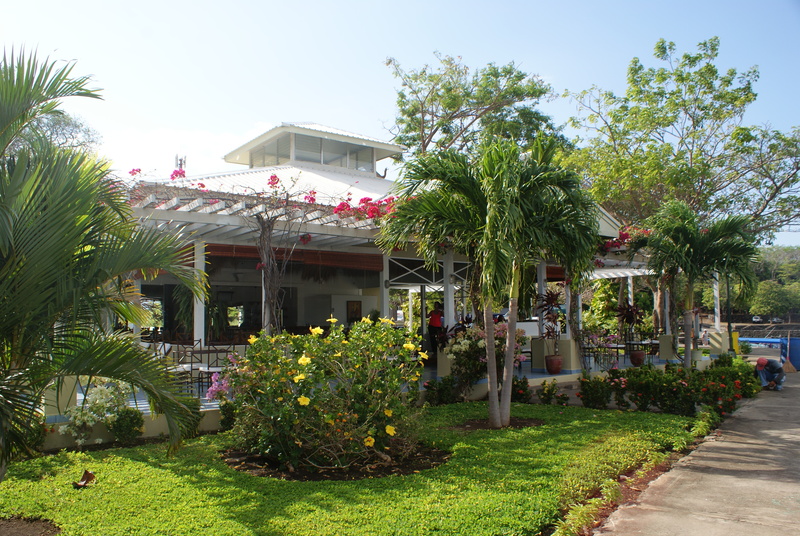 I headed down to a yacht club called Club Nautico Cocibolca which has a beautiful open air patio at Iguana Bar Restaurant, where I enjoyed a cold drink before heading out on the tour. I was traveling with a group of 12 so we were able to charter a private boat tour. Tours can run for 1-2 hrs depending on how long you want to go for. There are a few yacht clubs that run tours and most tour agencies in town can set you up. We set out in late afternoon and enjoyed a nice breeze on the water while the late afternoon sun lite up the islands. While we didn’t see any monkeys or caiman, we did see many different types of birds and enjoyed some great views of the sun setting. 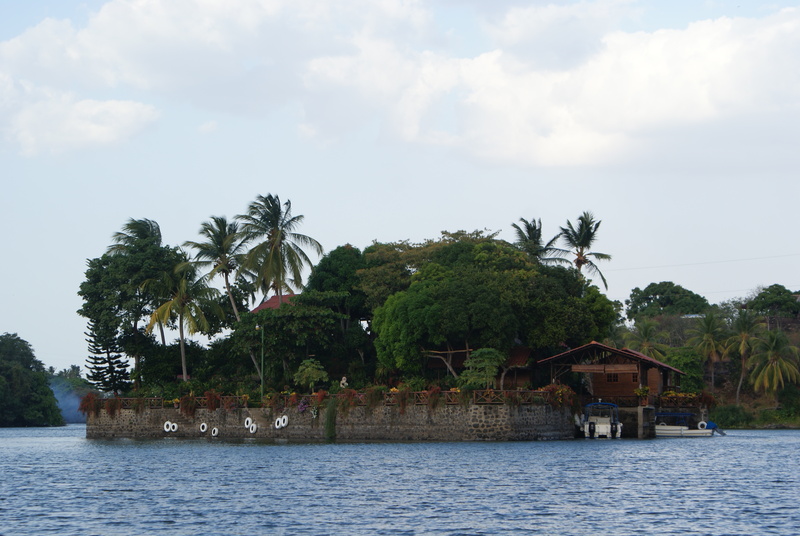 As I mentioned before, some people live permanently on the islands while some have luxurious summer homes. It was quite the contrast to see the difference between the two and it’s immediately obvious who the locals are. I thoroughly enjoyed this tour as it was an easy way to get out of the city and take in the beautiful flora and fauna of the region without having to travel too far. 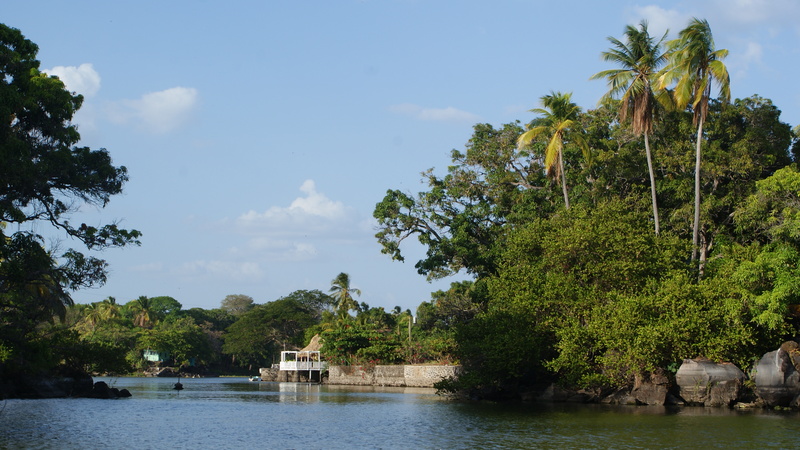 I got to explore both waterways and the jungle all in one and if you want to add a bit of history, stop by Castillo San Pablo! Yes it is quite a beautiful area! I hope you get the chance to visit it one day!